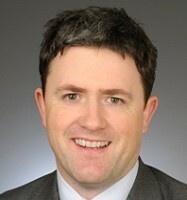 Garry Lyons is chief innovation officer for Mastercard and a member of the company’s management committee. Mastercard Labs, which he created in 2010, is focused on looking at the future from a fresh perspective, determining how advances in technology and consumer trends are going to impact the company’s business. The team helps to create new products and solutions for Mastercard and its customers through prototyping, piloting, market validation and commercialization, while working with the global startup community and driving a more innovative culture inside Mastercard. Prior to joining Mastercard, Garry was chief executive officer of Orbiscom, a leading provider of innovative payment solutions to the global financial services industry, and the inventor of Virtual Card Numbers. He was with Orbiscom since its incorporation in early 1999, when he was recruited by its founders to take responsibility for all aspects of technology, innovation, delivery and support. Orbiscom was acquired by Mastercard in December 2008. Garry was recognized as one of Forbes “Next Gen Innovators” in 2014. Prior to joining Orbiscom, Garry held various senior technology positions in Cognotec, Credo and ICL. He is a technologist by training, with a Bachelor of Science in Computer Applications from Dublin City University.